Defects in concrete can often be related to the lack of durability of the concrete, resulting from the composition of the concrete, poor placement practices, poor Quality Control or the aggressive environment in which it is placed. Another defect in hardened concrete is cracking. A crack is a linear fracture in concrete which extends partly or completely through the member. Cracks in concrete occur as a result of tensile stresses introduced in the concrete. Tensile stresses are initially carried by the concrete and reinforcement until the level of the tensile stresses exceeds the tensile capacity (modulus of rupture) of the concrete. After this point the concrete cracks and the tensile force is transferred completely to the steel reinforcement. 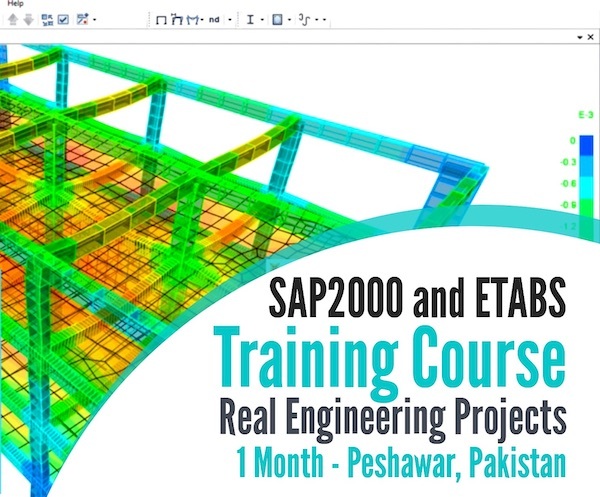 The crack widths and distribution is controlled by the reinforcement in reinforced and prestressed concrete, whereas in plain concrete there is no such control. In spalling large chunks of concrete separate from the parent member. Spalling is similar to scaling except large chunks instead of just flakes break loose. This indicates a severe weakness in some parts or the entire project. It is more likely to happen during freeze thaw conditions. 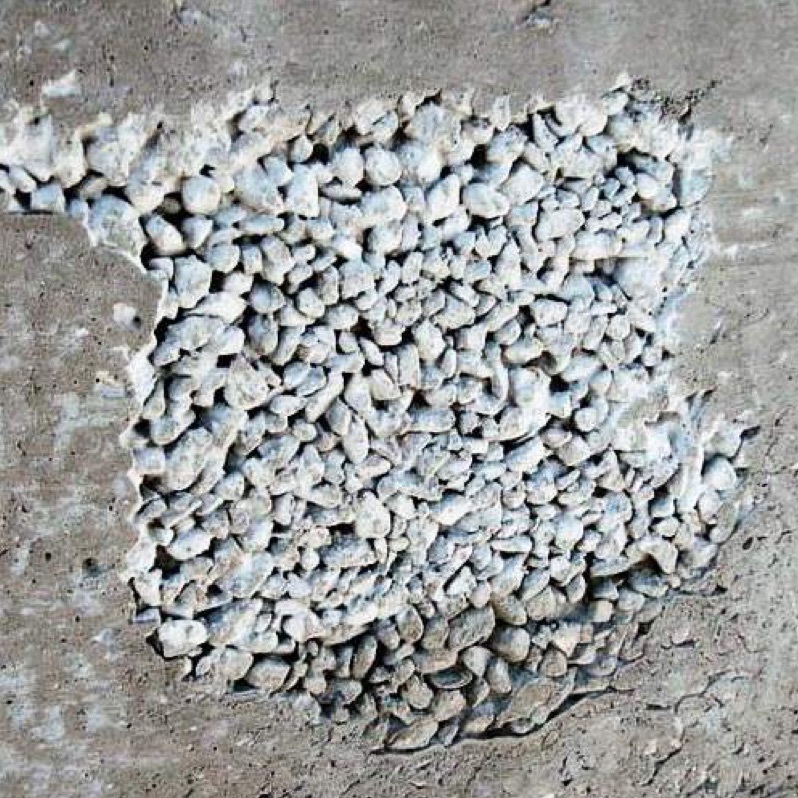 Spalling is a continuation of the delamination process which is caused by the actions of external loads, pressure exerted by the corrosion of reinforcement or by the formation of ice in the delaminated area results in the breaking off of the delaminated concrete. The spalled area left behind is characterized by sharp edges. Light - Spalled area measuring less than 150 mm in any direction or less than 25 mm in depth. Medium - Spalled area measuring between 150 mm to 300 mm in any direction or between 25 mm and 50 mm in depth. Severe - Spalled area measuring between 300 mm to 600 mm in any direction or between 50 mm and 100 mm in depth. Very Severe - Spalled area measuring more than 600 mm in any direction or greater than 100 mm in depth. Scaling is a defect in concrete in which local flaking, or loss of the surface portion of concrete or mortar as a result of the freeze-thaw deterioration of concrete occurs. Scaling is common in non air-entrained concrete, but can also occur in air-entrained concrete in the fully saturated condition. 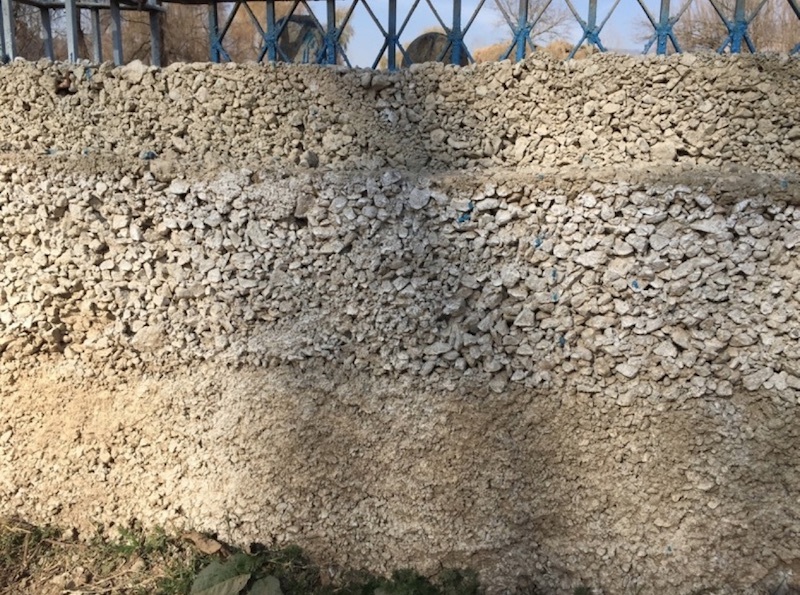 Scaling is prone to occur in poorly finished or overworked concrete where too many fines and not enough entrained air is found near the surface. Severe - Loss of surface mortar to a depth of 11 mm to 20 mm with aggregate particles standing out from the concrete and a few completely lost. Very Severe - Loss of surface mortar and aggregate particles to a depth greater than 20 mm. Honeycombing occurs due to the improper or incomplete vibration of the concrete which results in voids being left in the concrete where the mortar failed to completely fill the spaces between the coarse aggregate particles. Light - Honeycombing to a depth less than 25mm. Medium - Honeycombing to a depth between 25mm and 50mm. Very Severe - Honeycombing to a depth greater than 100mm. Chemical attack can occur because concrete is alkaline and chemically reactive. It can be attacked by acids; some alkalis; numerous salt solutions; and organics such as fermenting liquids, sugars, and animal oils, especially if they contain free acids. Seawater will attack concrete. Corrosive solutions penetrating to the steel reinforcing rods may be particularly destructive because the large displacement of the corrosion products of the steel can cause cracking and spalling of the concrete. Delamination is a defect in hardened concrete which is defined as a discontinuity of the surface concrete which is substantially separated but not completely detached from concrete below or above it. Visibly, it may appear as a solid surface but can be identified as a hollow sound by tapping or chain dragging. Delamination begins with the corrosion of reinforcement and subsequent cracking of the concrete. However, in the case of closely spaced bars, the cracking extends in the plane of the reinforcement parallel to the exterior surface of the concrete. Delamination or debonding may also occur in concrete that has been patched or overlaid due to the continued deterioration of the older concrete. This may happen even in the absence of any rusting of reinforcing steel.